The spine is made up of 3 major curves: cervical (neck), thoracic (mid back) and lumbar (low back). Spinal anatomy is an amazing combination of 24 strong bones, flexible tendons and ligaments, muscles and ultra-sensitive nerves. 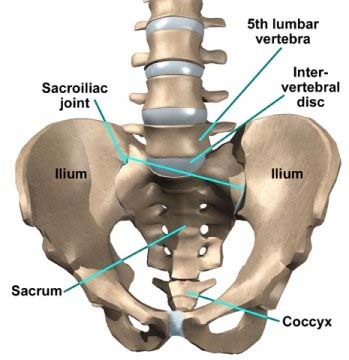 The spine is incredibly strong and flexible providing for incredible mobility. The cervical and lumbar spines curve inward. Alternately, the thoracic spine has a slight outward curve to it. It is imperative that these curves be maintained when performing any daily activities such as sitting, standing, exercising, lifting, reaching, bending and even sleeping. If the spinal curves become reduced or exaggerated, one can become prone to back pain and injury. It is important to maintain spinal flexibility and strength, to insure that routine activities can be performed without strain to the ligaments and muscles of the spine. Various conditions may affect the spine and create cervical and lumbar spine disease. 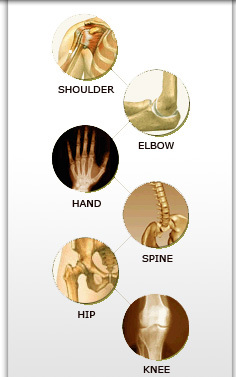 These include degenerative conditions such as spinal stenosis (a narrowing of the canal) and spinal osteoarthritis. Another common problem that can cause back and leg pain is disc herniation. Repetitive bending, twisting, or even a single back injury can create a "shear stress" across a disc. Eventually, this stress can cause the outer fibrous rings of the disc to break down. The terms herniated disc, ruptured disc, or slipped disc refer to the semi liquid center working its way through the outer ring and pushing on a nerve.